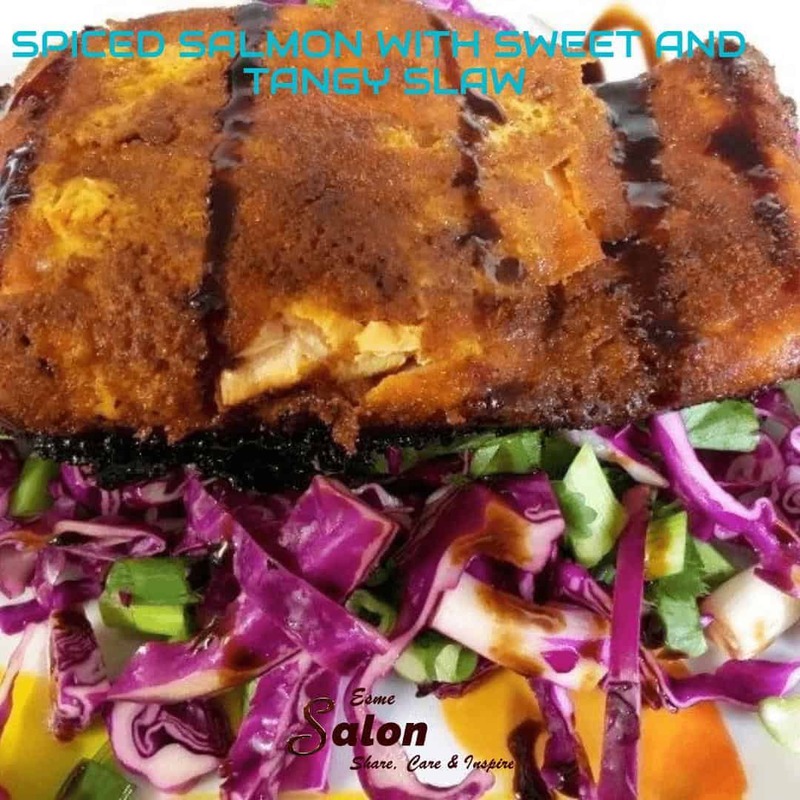 Crunchy Salad with Sweet and Tangy Salmon. 1 small red cabbage, chopped. A bunch of coriander, chopped with stalks and old. ¼ cup white balsamic vinegar. Toss everything together in a bowl, and set aside allowing the vinegar to mix nicely with everything. 1 tbsp. Cartwright’s curry powder. In a bowl, mix the curry powder, sugar, and salt together. Rub the spice mix all over the fish and place each piece of salmon in a piece of foil and tightly wrap the foil around the fish. Pop into a pre-heated oven and bake at 180C for 30 minutes or until the top of the fish is golden brown. Serve the fish on top of a bed of the homemade cold slaw and drizzle with reduced balsamic vinegar. Thank you, Phillip, I have your comment, and it seems to be working. I will check out the rest soon and respond back via email.